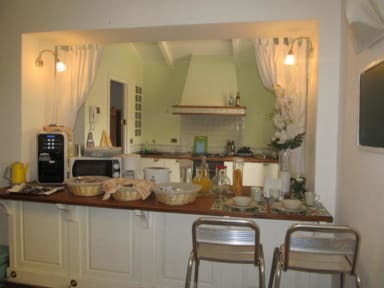 Great location, just a short walk from the centre. Breakfast was fantastic. The whole place was very clean and felt homely. The host was very nice too. The ideal place to stay in Milan! We were greeted and welcomed so kindly. 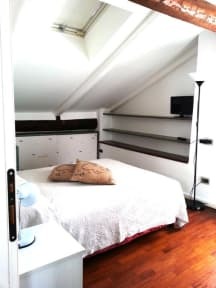 20 minutes walk from the Milano Centrale station and in a safe and interesting area. Such great hosts, I highly recommend a stay at Gioia House. Loved it!! Maria is the perfect host. Breakfast on terrace was fabulous. Great location. Great place to stay! Beautiful and quaint location right in walking distance to everything Milan offers. Staff was very nice and friendly. Consistent wifi was great and home cooked meal for breakfast was certainly an added bonus! Highly recommend stay here. Very friendly staff and absolutely great breakfast (with self-made lemon-cake)! Not a hostel. Really cute guesthouse with a nice balcony for taking your breakfast in the morning. Very accommodating and let us check in a little early and store our stuff as well.